Electric vehicles are here, but are they practical and economical? The future seems to belong to electric vehicles (EVs). Several countries, including France and the U.K., have already set deadlines to end internal combustion engine car sales, and in response automobile manufacturers have set their own deadlines to stop producing them. Most of the current cutting-edge technology in the automotive field is being developed under the assumption EVs will be the platform of the future. The main sticking point now is not the viability of the technology but public acceptance. For the most part, EVs are promoted for what they do not do, i.e., produce emissions that are harmful to people and the planet. Still, that rationale isn’t airtight, given that the electricity they use has to come from somewhere, and fossil fuels remain a mainstay for generating electricity. Nevertheless, the number of electric and plug-in hybrid cars currently in use passed the 3 million mark last year, and by the end of this year the number is projected to reach 5 million. Japan’s Weekly Economist says that by 2030, 1.19 million EVs will be sold in the U.S. annually, up from 90,000 two years ago. In France the number will increase from 35,000 to 217,000. Thanks to government subsidies, China is going all out for EVs, with 2.68 million sales projected for 2030. Though EVs still only account for a fraction of overall car sales, momentum is obviously building, even in Japan where EV sales had been relatively sluggish. In 2016, Japanese people bought about 20,000 EVs, and by 2030 that number will increase to 210,000 out of a projected total of 5 million cars sold, according to the Economist. Japanese people are not environmentally oriented when it comes to their discretionary spending, and the success of the nominally eco-friendly hybrid cars, like Toyota’s Prius, in Japan was due to a confluence of factors that were economic in nature: Better gas mileage and government incentives. The incentives are also available for EVs, and for sure the number of EVs sold in Japan would be significantly lower without them. That is because they remain relatively expensive and inconvenient compared to gasoline-driven cars. In a survey conducted by Green Car Reports last year that involved 43,000 people in 52 countries, only 16 percent of Japanese respondents said they were thinking of buying an EV, compared to 31 percent of Americans and 58 percent of Chinese. 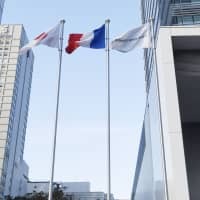 These economic obstacles will be a challenge, which is probably why Japanese carmakers have been reluctant to go forth aggressively into the brave new world of EVs, at least with regard to the domestic market. At present, only two Japanese companies sell EVs: Nissan and Mitsubishi. So Toyota sent shock waves through the industry last fall when it announced that it would be putting an EV on the market by 2022, since many thought the company’s future automobile of choice was the Hydrogen fuel-cell vehicle. But it still remains unclear how much the world’s No. 2 carmaker really wants to invest in EVs. As outlined in a recent Japan Times article, principal concerns for car companies are parts makers and distribution channels, but at the bottom, the feeling is that until EVs can be made as convenient as gasoline cars, they’re too much of a risk. But just how inconvenient and costly are EVs, and what are the prospects for making them more convenient and economical? The first mass-produced EV in the world is Nissan’s Leaf, which went on sale in December 2010, and is one of the top-selling EVs in the world. 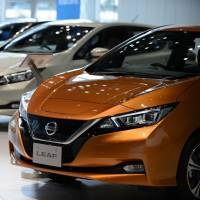 Last fall, Nissan released its second Leaf model, which features a 40-kilowatt-hour battery that allows the car to be driven 400 km on a single charge. That is an increase in distance over the first Leaf model, which had a 30-kWh battery and could only be driven 280 km — the distance from Tokyo to Nagoya. The increase in battery capacity should boost sales, but it will not be enough to make the Leaf a best-seller on the scale of the Prius. First of all, the price may be more than most people are willing to pay. 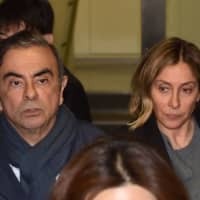 The dealer price is ¥3.15 million to ¥3.99 million, which means, after subtracting the government green car subsidy of ¥400,000 (¥1,000 per kilometer driven on a full charge) and waiving the various one-time taxes, which EV purchasers can do, the price can be as low as ¥2.5 million. 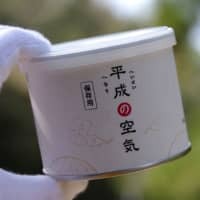 Still, a recent survey conducted by Padonyanko Check found that about half of respondents thinking about buying a new car do not want to pay more than ¥2 million. Second, though battery capacity has been boosted, the new Leaf still may not be suitable for many people’s driving needs. On the Nov. 27 installment of the TBS Radio show “Weekly Automobile Review,” automotive critic Koji Ozawa answered a listener’s question about EV mileage. Ozawa essentially said you can’t compare gas mileage to electrical mileage. With gas-driven cars, many factors affect mileage, and the same factors—speed, road conditions, load, use of climate control — affect battery usage in an EV. The difference is that the gas mileage of a car remains pretty much the same over the life of the car, but battery capacity of an EV starts deteriorating right away. And certain practices, like using the air conditioner in summer or frequent charging, cause the battery to deteriorate more quickly. Consequently, the resale value of a Leaf is much lower than that of comparably aged gasoline car. 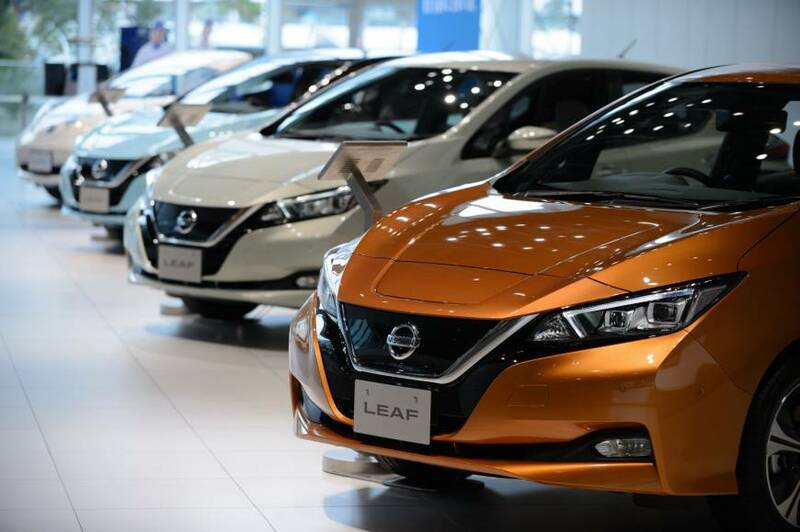 According to a feature about EVs in the Sept. 25 Asahi Shimbun, Leafs cost on average around ¥300,000 on the used car market, and most need new batteries, meaning the battery will cost more than the car. As of Jan. 3, there were 19,194 charging stations throughout Japan, 7,200 of which are equipped with high-speed chargers, meaning they can recharge your battery in 20-30 minutes. Regular recharging from 0 to full takes much longer. The price of charging differs depending on whether the user belongs to a payment plan. Nissan offers Leaf owners a plan that provides unlimited charging at its high-speed charging stations (more than 5,500) for ¥2,000 a month. A cheaper Nissan plan costs ¥1,000 a month and then ¥15 a minute for high-speed charging and ¥1.5 a minute for regular charging. Nippon Charge Service, which operates charging stations throughout Japan on behalf of four car makers, also offers several plans that combine monthly fees (¥3,800 for high-speed, ¥1,400 for regular) with per-use fees (¥15 a minute for high-speed, ¥2.5 a minute for regular). Some EV owners prefer to charge their cars at home, since it takes about 8 hours to fully recharge a battery from zero using regular speed. In that case the owner will need to install a 200V outlet. A Sept. 7 NHK news analysis of EVs visited a 70-year-old Tokyo man who has owned a Leaf for three years. “It’s the same as recharging your phone,” he said, though he points out that when he’s out he will sometimes use high-speed chargers at Nissan dealerships. Charging isn’t a hassle, he added, saying that you have to get into the habit. Though the maximum range for his car is now 200 km, he only uses it for errands. The man also implied that he would never go back to a gasoline car. TBS Radio’s Ozawa, despite his misgivings about the appearance of EVs, said much the same thing on his own show. EVs are almost scarily quiet, and the response is so much superior to gas-engine cars that once you test drive an EV, you’re hooked.